Finding a vet is an important part of becoming a pet owner or moving to a new area like Saratoga Springs. Be prepared in the event your pet gets sick, has a medical emergency, or just needs a routine exam by choosing your vet today. 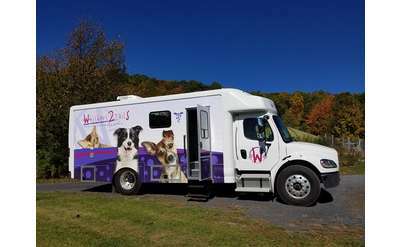 Browse our list of veterinarians serving the Saratoga area and find one that's right for you and your pet. Find top veterinarians for pets ranging from hamsters to horses in Saratoga, Wilton, Malta & the surrounding areas! We are a full-service veterinary center offering the highest quality comprehensive medical care and client services in an atmosphere your pets will actually enjoy! Our Caring and Compassionate staffs top concern is your pets health.